28/11/13 21:59:16,000 kernel: hfs: early journal init: volume on disk4s2 is read-only and journal is dirty. Can not mount volume. 28/11/13 21:59:16,603 diskarbitrationd: unable to mount /dev/disk4s2 (status code 0x00000001). … even after running chflags on the whole sparse bundle. What I had on my hands was an HFS+J volume with a corrupt journal file.To delete the journal, you have to be able to mount the volume read/write, but to do that the volume has to have a valid journal. In other words, diskutil and fsck are helpless in these situations. I was getting desperate. All my truly critical data (source code) was safe, but just the thought of losing all my music felt depressing and more and more real. -j Ignore the journal for this mount. … after which you can go and re-create the user account on the new machine, drag over any applications you need, yadayadayada. My TM backups were running just fine, there was absolutely no indication that anything was wrong. I think what caused this was that, while the iMac was offline reinstalling 10.9, I mounted the TM sparse bundle from my ProBook (to retrieve a file I needed to work on and hadn’t synced to any cloud). I mounted the image, got the file and then at some point, without thinking about it, put the ProBook to sleep. 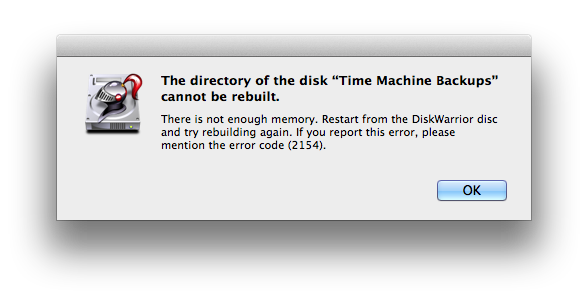 When the machine woke up, the image (“Time Machine Backups”) was still mounted, I ejected it and continued working. After a little while I needed to access the image again, but this time got a “resource unavailable” after double-clicking the image. I didn’t pay it much attention at that time (mounting images over wireless isn’t totally bomb-proof) , but in hindsight, the image was already corrupt at that time. 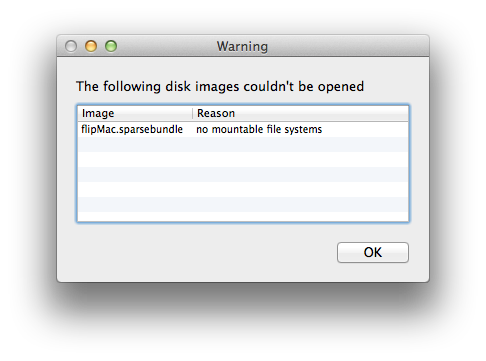 So to summarise - don’t go opening TM sparsebundles just because you can, or if you really have to, mount then read-only!